We would like to say we feed the world, but for now, we just take care of our little corner. 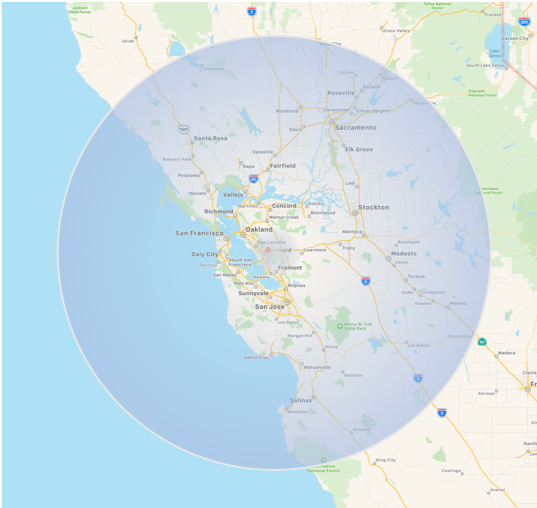 From as far North as Santa Rosa, California, through the Central Valley, to Salinas in the South and including the entire Bay Area and Greater Sacramento, you’ll see our trucks delivering high-quality food products to our customers. Our customers include food processors, industrial bakeries and artisan bakers, all who consider us their go to vendor for the fine ingredients that go into their delectable creations. While they all regularly rely on us for conventional ingredients, we are really well-known for locating that hard to find specialty item or hidden gem. We’ve also become the favorite vendor for producers looking to convert to organic products. Our reputation is well established for finding the best organic ingredients from around the globe and helping food producers keep up with consumers’ changing demands. Not sure if we can help you? Give us a call.